Carcinogens: that damage genes, such as those found in cigarette smoke or charcoal-roasted meats. Excess radiation: that can occur from too much sun. Sun exposure that is intense enough to cause a burn can also damage the genes in skin and can result in skin cancer. Viruses: such as the HPV virus which is spread by unsafe sexual practices. This virus damages genes and causes most cases of cervical cancer. Occupational exposure: to chemicals, including asbestos, benzene, and certain dyes, can damage genes and cause cancer. Lifestyle factors: that affect the health and immune system, increasing the risk for cancer. These factors include having an inactive lifestyle, being obese, eating very few fruits and vegetables, and eating a lot of saturated fats and red meats. 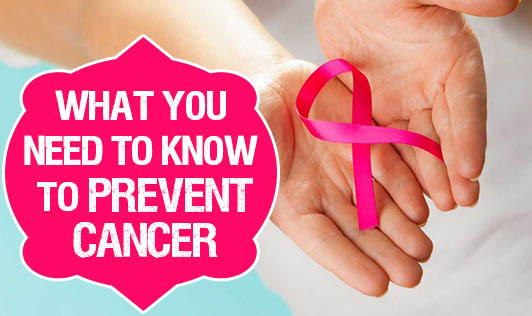 Most cancers can be prevented by adopting a healthy lifestyle, taking precautions against exposure to carcinogens and excess radiation from the sun, and getting regular preventive exams that can identify cancer early, while it is still treatable.